Power to Change has a truly exciting opportunity to transform the lives of people and communities across England. In order to fulfil our ambitions we need outstanding individuals to join our team – people who can help us capitalise on the good work already being done and catalyse and stimulate new approaches. We offer excellent benefits including 25 days holiday (pro rata), contributory pension scheme, and six vocational training or community business volunteering days, in keeping with our company ethos. You will also have the opportunity to visit community businesses around England and take part in stimulating away days. Past examples include volunteering at Sutton Community Farm and a mindfulness session on the Bristol Community Ferry Boat! We believe in being truly inclusive and treating everyone with respect. We seek to be a genuinely inclusive organisation by advancing equality and diversity through our policies and practices. We encourage and welcome applications from people from all backgrounds who are looking to make a real difference to the lives of their local communities. Read our equality and diversity policy. We believe people should be paid a fair wage. That’s why we are committed to paying people a Living Wage, which is higher than the compulsory national minimum wage. We believe everyone should be included and treated with respect. 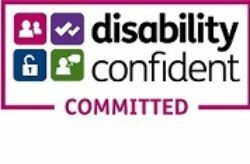 We have become Disability Confident Committed, which means we are actively on the path to becoming a Disability Confident Employer. We are part of the Bike2Work scheme. A scheme provider of the Government’s Cycle To Work Scheme which aims to reduce environmental pollution, promote healthier lifestyles and make cycling to work cost-effective, by offering tax savings on bikes and cycling equipment. We are a MINDFUL EMPLOYER which means we are an organisation who have good practices in place to ensure employees and job applicants who declare mental health issues receive the right level of support.